We're now less than eleven months away from the December 16th release of Rogue One: A Star Wars Story and, while we don't know much officially, the rumor mill is beginning to heat up. At least one iconic bad guy is rumored to make a return in the film, and now our friends at MakingStarWars.net are reporting that another classic villain may be making a return in Rogue One. As usual, there is a chance this may not be accurate but if you are trying to avoid all Rogue One spoilers stop reading now. This is your SPOILER ALERT! According to MSW, concepts were created to bring back Grand Moff Tarkin in the film. This would make sense given that Tarkin was in charge of overseeing the construction of the Death Star. Rogue One will tell the story of how the Rebels steal the plans to the first Death Star, so we can understand why Tarkin would have a vested interest in getting those plans back. Obviously, the biggest issue is that Peter Cushing, who played Tarkin in A New Hope, has been dead for over twenty years. There have previously been rumors about Cushing being recreated digitally for the film (however the source on that story was the Daily Mail, which makes it are dubious at best). There are other options though, for example in Revenge of the Sith, Tarkin was portrayed by Wayne Pygram, wearing prosthetics. If Tarkin is to appear in the film, the method they bring him back will depend on the size of the role. If the role is a brief cameo, or only a scene or two, they could pair a physical performance by someone like Pygram in the prosthetics with a vocal performance by Stephen Stanton (who plays Tarkin on the animated series Star Wars Rebels). However, if the role is much larger, they may have to explore other options. Also, when Wayne Pygram appeared as Scorpius on "Farscape," his authoritative, deliberate way of speaking reminded me very much of Peter Cushing, so he may not need to redubbed after all. The rumor at the time, though, was that Tarkin was going to be CGI, which will only work if the entirety of his appearance is a cameo that only lasts a few seconds. Screw that... Pygram would make an excellent Tarkin... voice and all. Though it would be asking a very critical audience to be forgiving, would it be so bad for everyone to acknowledge another actor playing the part with the understanding that time and people eventually pass away? Oh great so Tarkin will look as good as Paul Walker did at the end of the last Fast and Furious? Wayne Pygram would nail it. I'm with John, screw the voice-over and CGI. Hope they bring in the Bevel Lemelisk character. In the SW Encyclopedia by Stephen Sansweet, he is the designer of the Death Star. 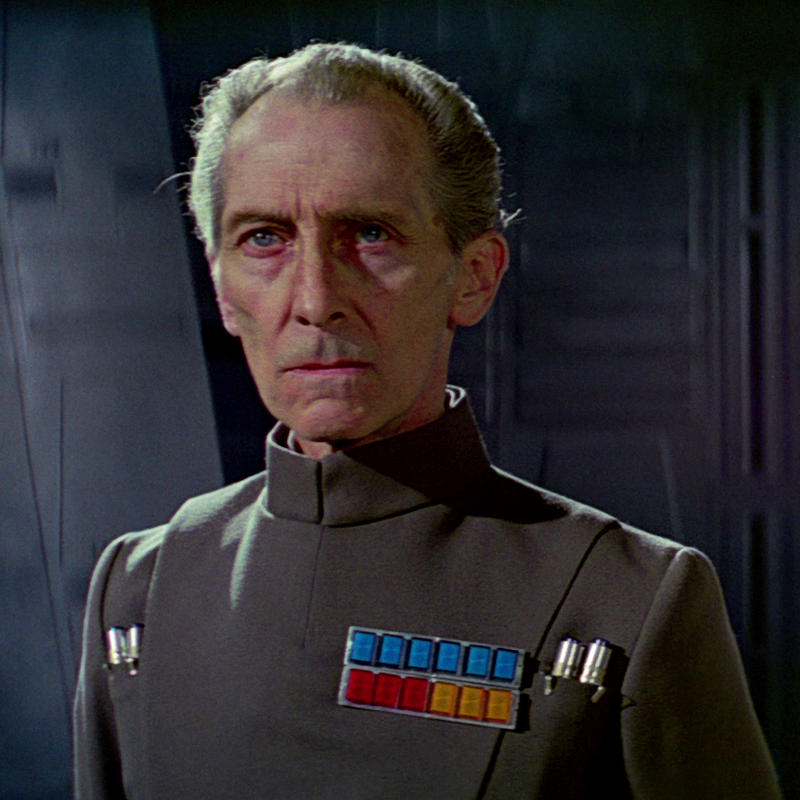 Even if Cushing were alive he would be too old to play Tarkin at a younger age. Yea would be no big deal to read cast him. Bail Organa is the legacy character I'm waiting to hear is in Rogue One. If he's not then it's an absurd oversight by the Story Group so I hope they've seen fit to put him in it.